Where does the TCO for VDI come from? 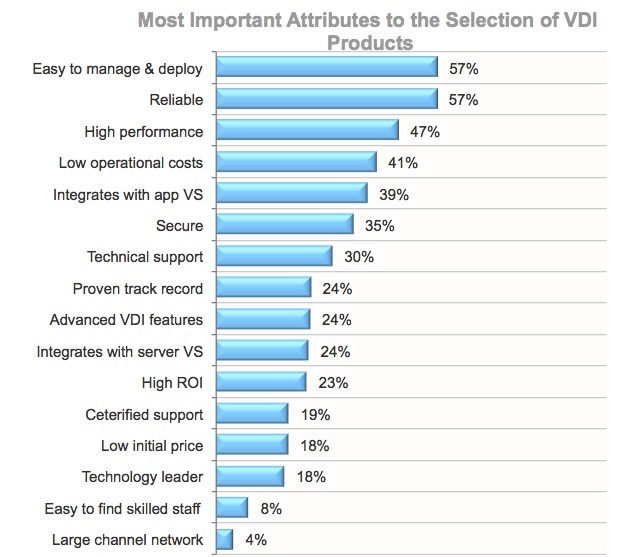 In a previous post I shared some research we have carried out to figure out what the most important factors that customers take into account when it come to choosing a VDI solution. The top factor is manageability which happens to be a core strength of VMware View 4.6 and one of the main reasons why we win customers. In this other blog post our technical marketing team put together some videos that compared some key provisioning and management workflows between View 4.6 and XenDesktop 5.0. If you are a VMware customer and are evaluating a virtual desktop solution, you should really take a close look to these videos as they showcase how View 4.6 delivers a much lower TCO by greatly reducing the time it takes to perform crucial routine tasks required to deploy and manage a VDI solution. Re: “showcase how View 4.6 delivers a higher TCO” – I think you mean “better” or “lower” TCO, right? oops… my italian-english 🙂 thanks!! XenServer is easier to set up than vSphere. Does that make it better?